"Passion at ten. Envy at eleven. Murder at noon." Purple Noon is a French thriller, based on the Patricia Highsmith novel, follows the dark adventures of Tom Ripley, a sociopath who likes to lie, charm and murder his way into a finer life. When spoiled Phillippe Greenleaf (Maurice Ronet) won’t return from Europe, his father hires his old friend Tom Ripley (Alain Delon) to travel to Rome to make his son come home. If Tom succeeds, he will receive $5000. Once Tom meets up with Phillippe, he enjoys a taste of the rich lifestyle that the young man has been living with his fiancée, Marge (Marie Laforet). Phillippe reassures Tom that he will head back to the States, but keeps delaying a departure. In reality, he has no intention of complying with his father’s wishes. Phillippe also toys with Tom, realizing that the poorer man has eyes for his fiancée and lifestyle. Phillippe strands him in the middle of the ocean when they go sailing, because he wonders how much mistreatment Tom will take. Eventually Mr. Greenleaf cuts off Tom’s expense account, considering the venture a failure and Tom overhears Phillippe talking about cutting him loose. Tom, overcome with disappointment, hatred and envy, loses control and kills Phillippe. Tom quickly regains his composure and begins to plot a way to take over Phillippe’s identity, and bank account. He even believes he can seduce Marge, and get away with murder. Through cunning wit and stylish deception, Tom learns to forge Phillippe’s signature, imitate his mannerisms and even manages to stay a step ahead of the police. While Marge and Phillippe’s persistent friend, Freddy Miles (Bill Kearns), both persist in trying to find Phillippe, Enjoying the cat-and-mouse game of suspicion, Tom smoothly manages to get away with murder and a small fortune. 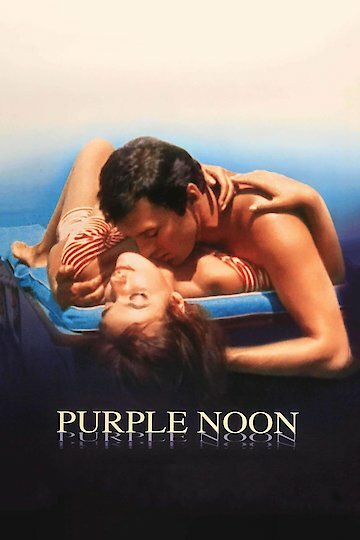 Purple Noon is currently available to watch and stream, buy on demand at Amazon, iTunes online.